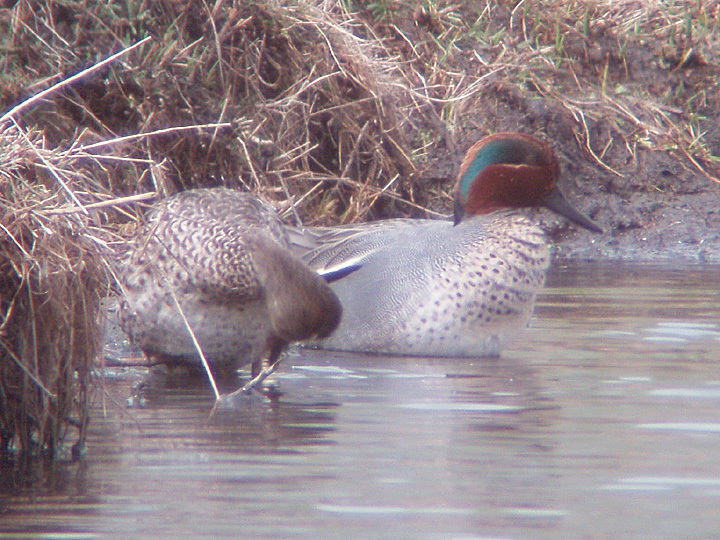 Common (Eurasian Green-winged) Teal on Birchfield Road east of Yakima, WA. He seems to be paired with this female. She doesn't like to pose for photos. March 20, 2005.